Fine Equipments displayed wide range of construction, demolition and road equipments including new FMG 170 Motor Grader, 15 ton motor grader, SKIDO skid steer loaders, Fi W 60 sand washing systems, 2 & 3.5 tons MINI, mini excavators. 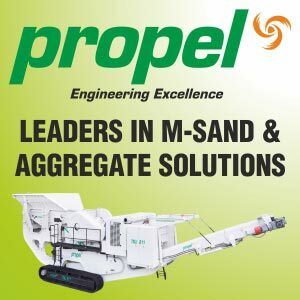 Fine Equipments displayed wide range of new solutions and present themselves as a leading supplier of construction, demolition and road equipments distributor and manufacturing major at bauma Conexpo India 2016 Expo. Fine Equipments has made its foray into road construction equipment. The Pune-based business entity displayed its new FMG 170 Motor Grader, 15 ton motor grader at bC India 2016. Informing about the product Mr. Neeraj Gaur, MD, Fine Equipments says, "We have started assembling the grader successfully at our Pune plant and now propose to commence sales from March-April 2017. The graders which are highly productive and reliable come with 12 feet blade and air conditioned cabin. Fitted with ZF Transmission, we will market the grader to the contractors looking for an economical solution." FMG170 is powered with the Cummins engine which is ideal for this application as it produces the required torque at low engine speeds delivering responsiveness and fuel efficiency. These engines run cleanly without the extra service required of additional equipment or after treatment of exhaust gases which contribute to environment. The transmission has been selected to optimize the engine performance and enhance overall fuel efficiency by matching engine power to the application. Fine equipments showed its new SKIDO skid steer loaders as well. They are powered by 60 hp Simpson Engines. Mr. Gaur says, "We have designed the loaders for ease of maintenance. They also score high on productivity as they are powered by 60 hp, Simpson engines. This is as compared to 48-50 hp engines provided by other skid steer loader manufacturers in India." Fine Equipments has sold four loaders to government agencies involved in municipal jobs and in other retail market. Fine displayed its new Fi W 60 sand washing systems also at the event. According to Mr. Gaur, the 60 tph plant coupled with slurry management plant, will be able to recover and recycle 90% of the water, which will help in saving water as well as wastage of land. Other new solutions exhibited by the company included 2 tons and 3.5 tons MINI, mini excavators from Takeuchi of Japan. Fine Equipments has entered into an exclusive distribution tie-up with the company to promote the mini tracked excavators, being provided with attachments like augers, hydraulic rock breakers among other attachments. Apart from new equipment, Fine Equipments also displayed all product range Rock Breaker, Quick Coupler, Rock Drill, Buckets and other excavator attachments. With the support of the growing fine dealer network, the new FMG170 Motor Grader, Mini, Skido and other products from the fine family is ready to set a new standards of grading performance, productivity and reliable after-sales support.